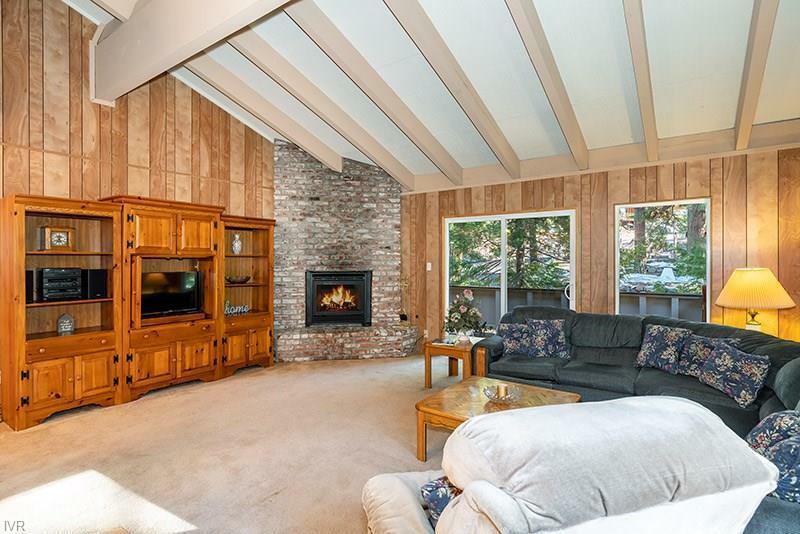 Beautiful, well maintained 3 BR, 2.5 BA end-unit condo close to Diamond Peak Ski Resort! The upper level offers living room with cathedral beamed ceiling, gas log fireplace insert and opens onto a large deck; kitchen with updated cabinetry and laminate flooring; utility room off the kitchen with stack washer/dryer; dining area with access onto another deck, great for entertaining; wet bar and a convenient half bath. The lower level offers the master bedroom/bath, two additional bedrooms and another full bath. Forced air gas heat. Furnishings are included. This complex offers 2 seasonal swimming pools, 2 saunas and is close to all recreational amenities, making it the perfect mountain residence or retreat!